I joined Monocle 24’s The Briefing on Monday to explain the situation in Venezuela, where protests and an alternative President are challenging the rule of President Nicolas Maduro amid the country’s economic crisis. 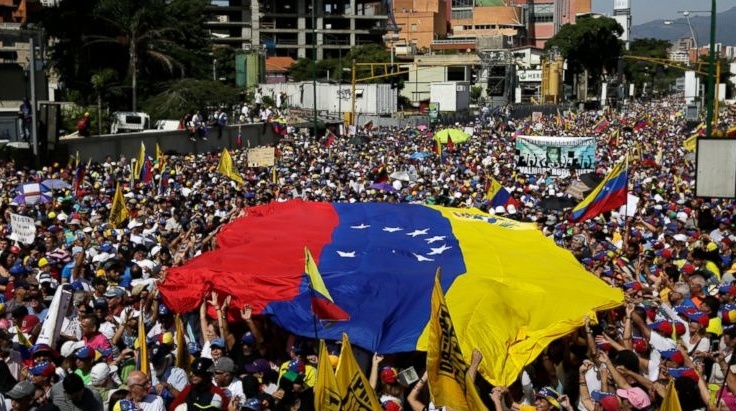 We go beyond the simple assertions of a US-backed attempt at a “coup” — and even a Washington v. Maduro narrative — setting out both the internal and external conditions, in which the role of regional countries is as or more important than of the Trump Administration. For some commentators, everything from Venezuela to Iraq to Iran to Syria to Eastern Europe is wedged into the idea of US coups around the world. The problem is that this writes out what is happening on the ground, and writes out the Venezuelan people.